Kids will appreciate attractions like Linnanmaki Amusement Park and Nuuksio National Park. There's much more to do: admire the landmark architecture of Rock Church, learn about all things military at Sea Fortress Suomenlinna, don't miss a visit to Senate Square, and pause for some serene contemplation at Helsinki Cathedral. Bilbao, Spain to Helsinki is an approximately 8.5-hour flight. You can also do a combination of bus and flight; or drive. Traveling from Bilbao to Helsinki, you'll lose 1 hour due to the time zone difference. Prepare for little chillier weather when traveling from Bilbao in December: high temperatures in Helsinki hover around 3°C and lows are around -3°C. Wrap up your sightseeing on the 8th (Sat) early enough to drive to Turku. Family-friendly places like Moomin World and Ispoinen Beach and Sauna will thrill your kids. Explore the numerous day-trip ideas around Turku: Kurjenrahka National Park (in Poytya) and Old Rauma (in Rauma). Next up on the itinerary: step into the grandiose world of Turku Castle, see the interesting displays at Aboa Vetus & Ars Nova, view the masterpieces at Gallery A, and step off the mainland to explore Vepsa Island. To find maps, traveler tips, ratings, and more tourist information, refer to the Turku driving holiday planner. You can drive from Helsinki to Turku in 2 hours. Other options are to take a train; or fly. In December in Turku, expect temperatures between 1°C during the day and -4°C at night. Cap off your sightseeing on the 11th (Tue) early enough to go by car to Kimito Island. Start off your visit on the 12th (Wed): visit a coastal fixture at Archipelago National Park. To find other places to visit, traveler tips, photos, and other tourist information, read Kimito Island tour planner . Drive from Turku to Kimito Island in 1.5 hours. Alternatively, you can take a bus. December in Kimito Island sees daily highs of 3°C and lows of -2°C at night. Wrap up your sightseeing on the 12th (Wed) early enough to drive to Savonlinna. On the 13th (Thu), explore the historical opulence of Savonlinna Cathedral, pause for some photo ops at Savonlinna Herostatue - The Hero's Grave, examine the collection at Savonlinna Provincial Museum, then step into the grandiose world of Olavinlinna Castle, then steep yourself in history at Olavinlinnan Musta Passi, and finally appreciate the history behind The Spirit of the fortress. 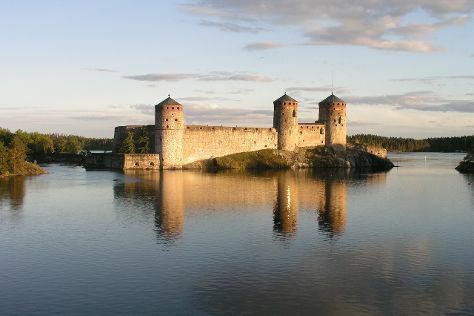 To find reviews, more things to do, maps, and other tourist information, read our Savonlinna road trip planning website . You can drive from Kimito Island to Savonlinna in 6 hours. Alternatively, you can do a combination of bus and flight; or do a combination of bus, train, and flight. Expect slightly colder temperatures when traveling from Kimito Island in December; daily highs in Savonlinna reach -1°C and lows reach -7°C. Wrap up your sightseeing on the 13th (Thu) early enough to travel to Sotkamo. 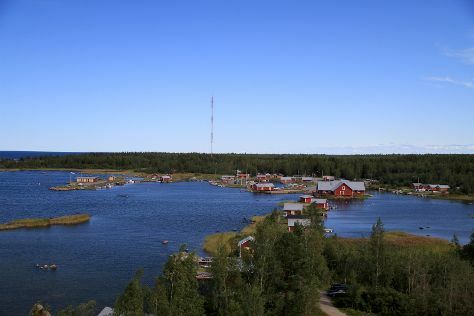 Sotkamo is a municipality of Finland, located in the Kainuu region. On the 14th (Fri), stroll through Venajanhiekka, then take some stellar pictures from Vuokatinvaara, and then enjoy some friendly competition at Vuokatti Bowling. Here are some ideas for day two: enjoy the sand and surf at Hiukka and then find something for the whole family at Angry Birds Activity Park Vuokatti. To see reviews, ratings, other places to visit, and more tourist information, read our Sotkamo trip website . You can drive from Savonlinna to Sotkamo in 4.5 hours. Expect a daytime high around -2°C in December, and nighttime lows around -8°C. 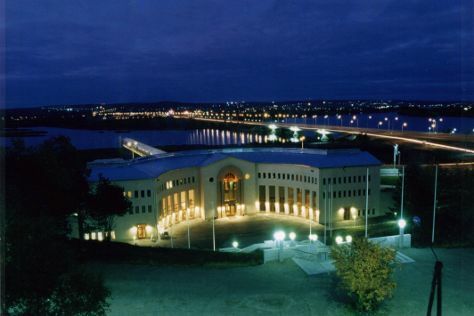 Cap off your sightseeing on the 15th (Sat) early enough to travel to Rovaniemi. You'll visit kid-friendly attractions like Santa Claus Village and SantaPark - the Home Cavern of Santa Claus. And it doesn't end there: see Santa Claus Office, get engrossed in the history at Arktikum, explore the world behind art at Korundi House of Culture, and enjoy some diversion at Snowman World Igloo Hotel. To find where to stay, other places to visit, maps, and other tourist information, refer to the Rovaniemi holiday builder . You can drive from Sotkamo to Rovaniemi in 4.5 hours. Expect slightly colder temperatures when traveling from Sotkamo in December; daily highs in Rovaniemi reach -6°C and lows reach -13°C. Finish your sightseeing early on the 18th (Tue) so you can drive to Levi. 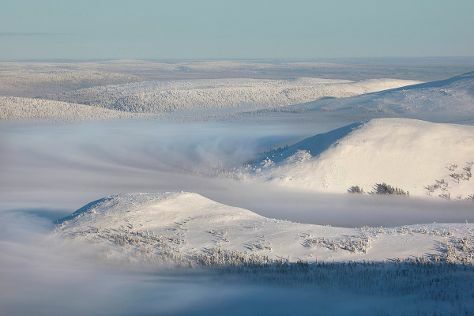 Venture out of the city with trips to Pallas-Yllastunturi National Park (in Muonio) and Snow Village (in Kittila). On the 21st (Fri), ski the day away in the pristine settings at Levi Ski Resort. There's lots more to do: admire all the interesting features of Ice Karting Levi, don't miss a visit to LUVATTUMAA - Levi Ice Gallery, and wander the streets of Ounasjoki - River for activities. To see more things to do, traveler tips, other places to visit, and other tourist information, go to the Levi trip tool . You can drive from Rovaniemi to Levi in 2.5 hours. Alternatively, you can take a bus. In December, plan for daily highs up to -6°C, and evening lows to -15°C. Finish up your sightseeing early on the 21st (Fri) so you can travel to Vaasa. Kids will enjoy Kvarken Archipelago World Heritage Site and Hietasaaren uimaranta. To see reviews, maps, other places to visit, and other tourist information, use the Vaasa online driving holiday planner . You can do a combination of bus and flight from Levi to Vaasa in 6 hours. Alternatively, you can drive; or take a bus. Traveling from Levi in December, expect Vaasa to be a bit warmer, temps between 1°C and -3°C. Finish up your sightseeing early on the 24th (Mon) so you can catch the train to Tampere. 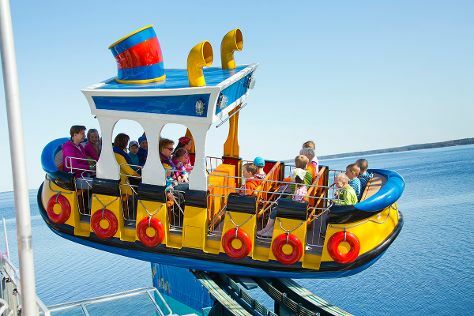 Family-friendly places like Sarkanniemi Theme Park and Rauhaniemi Beach will thrill your kids. Explore Tampere's surroundings by going to Pori (Yyteri Beach & Juselius Mausoleum) and Parola (Holy Cross Church & Parola Tank Museum). Next up on the itinerary: enjoy breathtaking views from Pyynikki Park and Observation Tower, look for gifts at Keittioelamaa, and take in the spiritual surroundings of Tampere Cathedral. For where to stay, traveler tips, and other tourist information, refer to the Tampere road trip planning app . Take a train from Vaasa to Tampere in 2.5 hours. Alternatively, you can drive; or take a bus. In December in Tampere, expect temperatures between 0°C during the day and -6°C at night. Finish your sightseeing early on the 28th (Fri) to allow enough time to travel back home.